Best Homemade Deck Cleaner For You - Eco Paint, Inc. This is a question I get all across America, what best deck cleaner we've found, utilizing you're typical household products. Saving you tons of time, money, along with deck surfaces benefiting just as well. Having written an article several years ago, stating the exact same formula, we still use today. 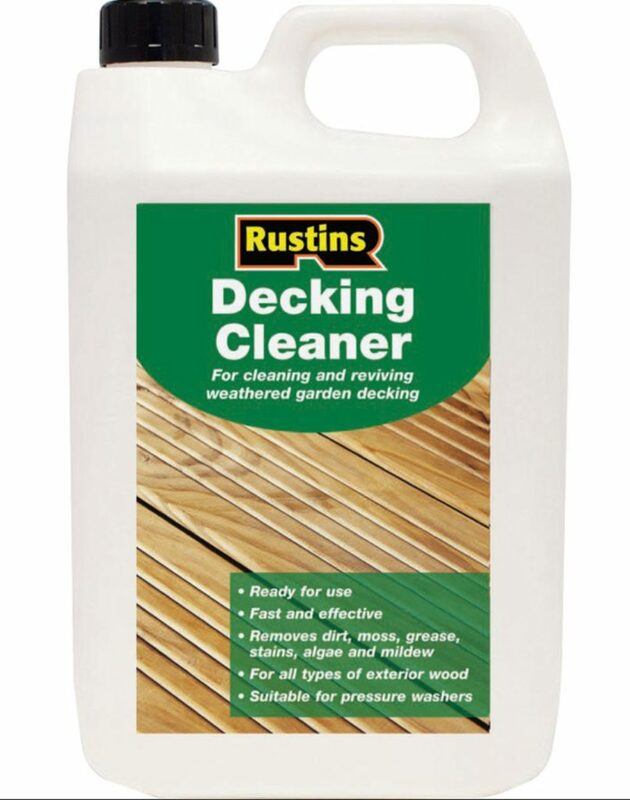 Having cleaned countless decks over the years, using most cleaners designed specifically cleaning decks, all claim to brighten, renew the wood to it's original appearance when it was brand new. Brand new wood looks blonde, light brown, untarnished, not being grayed out, or blackened from mold, mildew, or fungus. A great deck cleaner will remove just that! Removing gray discoloration, mold, mildew, and any active algae or fungus growing. Bringing new life to a deck, making it look almost brand new. We have used a wide variety of different shelf products across the retail sector over the years, conducting an almost lab test, hoping each would perform exactly as described. Most cleaners cleaned, some better than others. However, every store bought deck cleaner, most coming in the form of 1 gallon liquid, either in concentrate, or right out of the container to deck surface, all seemed to work about the same, still needing to highly pressure wash after cleaner has sat on top. 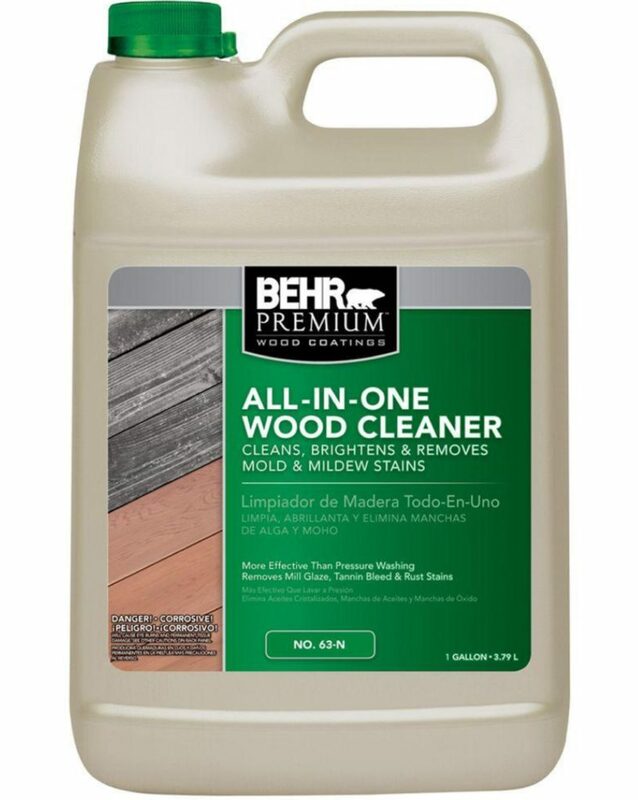 Most used required multiple cleanings and rinses to obtain the cleanest wood on deck floor desired. It was not until I stumbled across a Cedar siding job several years ago, I became a believer in this homemade cleaning solution very easy to use. Before I came across this unbelievable mixture, I have to tell you in no way am I getting royalties from writing this article. Nor do I own (don't think I do) stock with any of these companies listed here. However, with my excitement, you might think I might be a Fuller Brush man, selling my wares & cleaners. Being a painting contractor well over 40 years, it is great always learning something new, benefiting not only how to do something, but helping the surfaces we are addressing. Always looking for the best products, saving time & money. In many cases the more expensive, the better, but not in this case. The more economical, the better! You see, power washing is good to the deck surface only if it needs it. 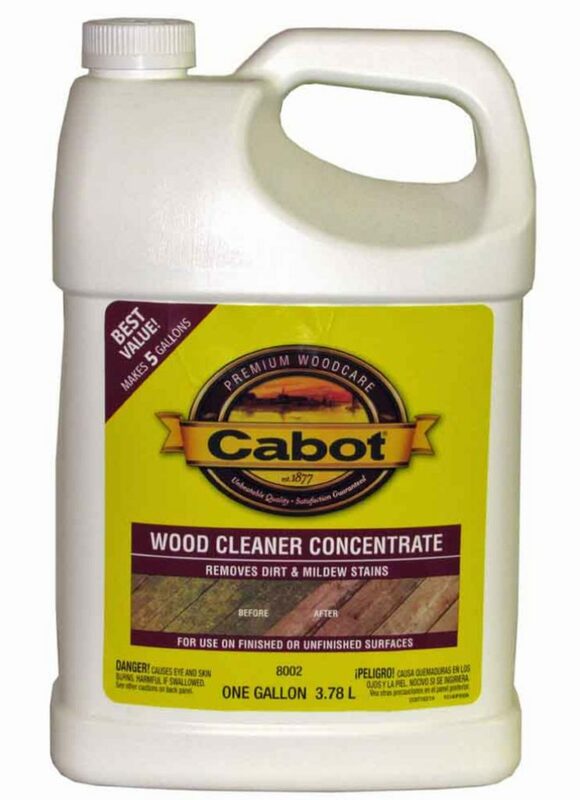 A cleaner which gets the black, gray, algae, mildew, or fungus removed from the wood's pores is ideal, without having to harshly power or pressure wash Cedar deck floors. Finding one convenient in most stores ranging from most grocery stores, gas stations, Walmart, Loews, Home Depot, to Walgreens, or even on Amazon, you'll not have to go far finding this. 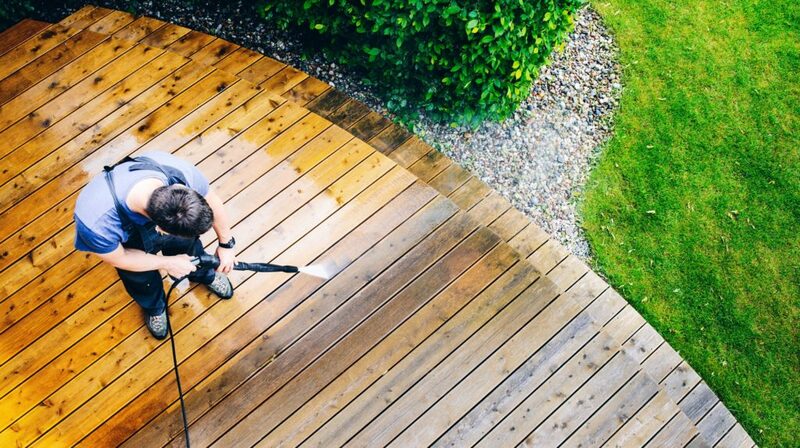 Requiring to power wash harshly each time diminishes deck surfaces, taking away top layers of wood itself. If you power wash each time, eventually one of two things will happen. One being you'll eventually have no wood left to stain, and Two, you'll for sure have so much higher ridges of grain, than softer being removed, it will be necessary to replace it at some point. So ideally, the least amount of power washing, but cleaning using the most effective cleaner possible, is best. Best for you, you're time, money spent, and the deck surface you are working on. Finding this deck cleaner from a home in Denver. 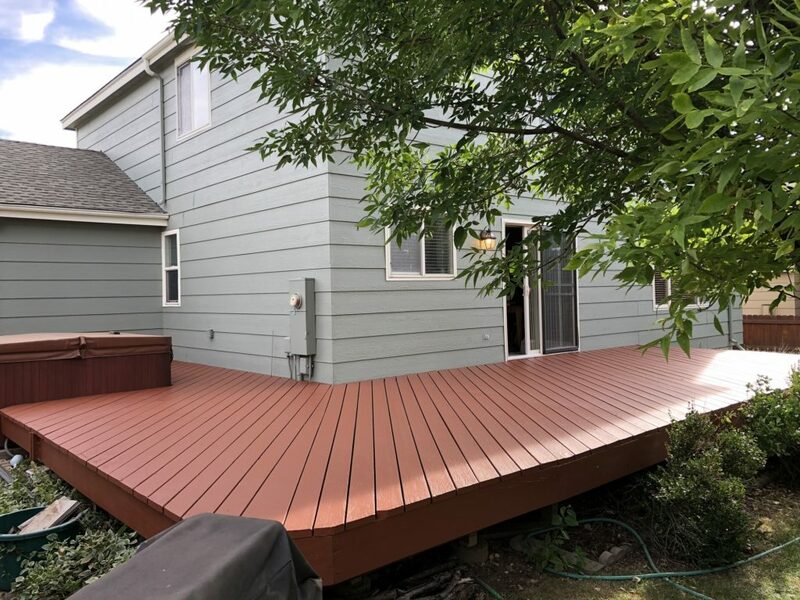 Upon receiving a call from a local resident new to the Denver area, requesting a company to provide painters re-staining a Cedar siding home of theirs, we made the appointment. After arriving, looking this large Cedar sided home over, it had been neglected several years, not keeping up with a staining program. The Cedar lap sided home had gray, black on most areas of the siding, making this a monumental task renewing. Upon discussing the job with homeowners, they informed me they had another painting company trying, but gave up, never finishing this job. Other painters tried many store bought gallon mixtures, but never getting clean enough for homeowners liking. Husband and wife tried a small section of Cedar siding, cleaning themselves, but other painters refused to use this formula. What? Refusing to use something that works?! I immediately gave homeowner's a bid, or estimate for this work, they approved, and we scheduled painters later that week. Upon arriving, our painters bringing a full array of deck cleaning products, also brought several containers of cleaner, homeowners had previously experimented, ready to get started. Must say, we all had our doubts using this new formula, have never tried it before. Never witnessing how well this was going to work. At this point, we still had our questions. Upon getting started cleaning, using gallon concentrates which makes five gallons to one gallon of concentrate, then using homeowner's cleaner method, it made us all a believer without a shadow of a doubt. 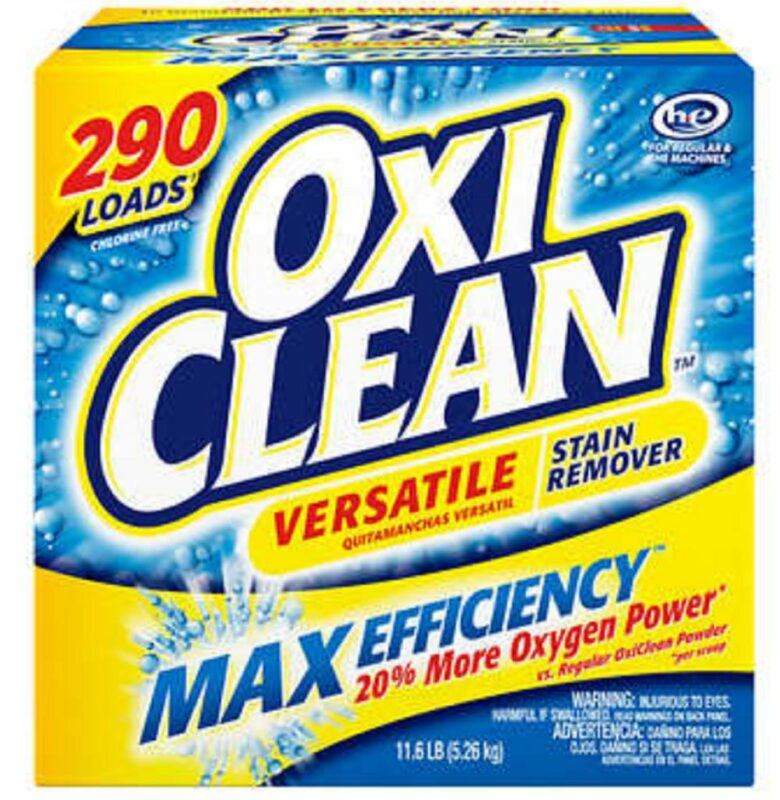 Without further ado, the mixture we use for every deck, and Cedar sided home having had a transparent, semi transparent stain on it years before is non other than Oxi-Clean laundry detergent. Mixing 3-4 scoops of detergent in a 5 gallon bucket, filling it up with tap water from an outside hose, one container of Oxi-Clean makes approx. 5-7 buckets of cleaning solution. This amount is well enough for most decks, even homes with multiple decks, depending on the size and severity. After mixing the homemade cleaning mixture, applying with an eight inch brush attached to a pole similar to a broom, works best. Wetting the deck surface first, applying cleaning detergent, lightly scrubbing in, allowing it to sit on top, 10-15 minutes before rinsing or power washing off. During this time you can visually see the gray and black ooze up a top of the suds, knowing it's working. Remembering I said power washing is harmful to wood? Not having to extensively bare down with water jet from your 2000-3000 psi power washer is even better. Being able to use power washer lightly rinsing off cleaner from deck floor or siding is ideal. Leaving this cleaner our top pick, than any other product we've ever tried. One last thing before we get into the details how to use this homespun deck cleaner, I must have to tell you. No matter what deck cleaner you use, every step is the same. Water the surface down, applying cleaner, wait times, rinsing wood deck off. The biggest difference is that this cleaner works while you watch it! Not some inferior mixture, costing at least twice as much, barely cleaning Cedar & Redwood like it first came out of the mill. And that my friends is why, once experiencing it, we'll never go back, buying a gallon of labeled deck cleaner, sitting on any shelf. After cleaning, you're wooden surface will be wet, darkening wood so much, hard to see how clean it actually is. Best allowing wood to dry back out to view newer, revitalized wood appearance. Ha, you have to wait anyway, before applying any stain. Needing wood to dry back out at least 24-48 hours, before deck staining, these major companies who offer deck cleaners, listed above, saving you tons of time, money, better for you're prized outdoor wooden structure. Normally the most cheapest, or homemade products we find is not always the best. However, not in this case. Actually just the opposite. 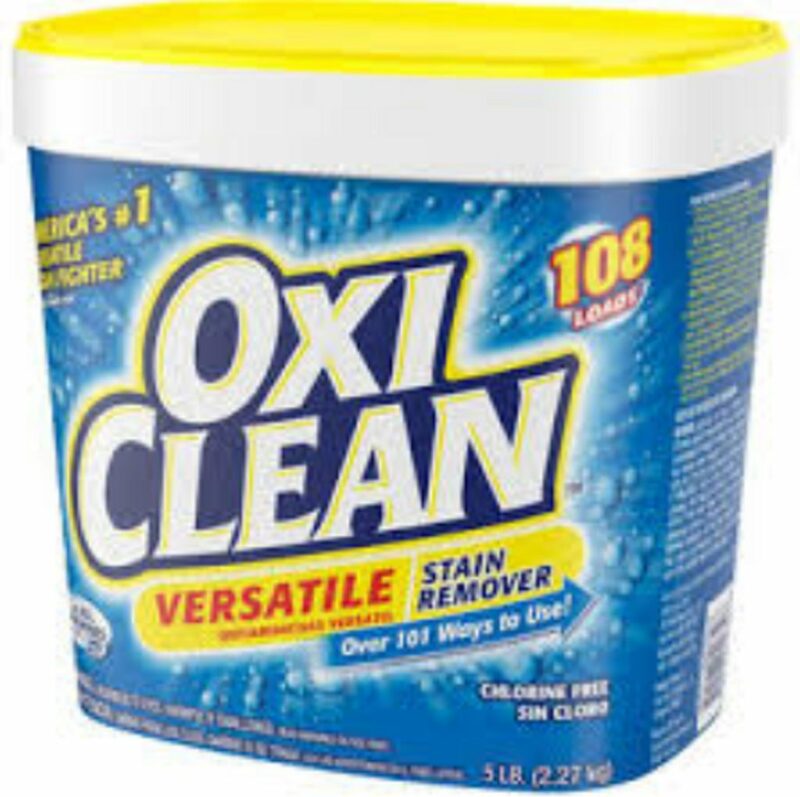 I just hope Oxi-Clean does not change formulation of this product, as they have been proud claiming 100 uses of this, we are adding 1 more. Making a versatile product that should be on every home's shelf. We even use this for concrete, cleaning driveways, sidewalks like brand new! Hope you've enjoyed this, like to hear your stories, or comments below! 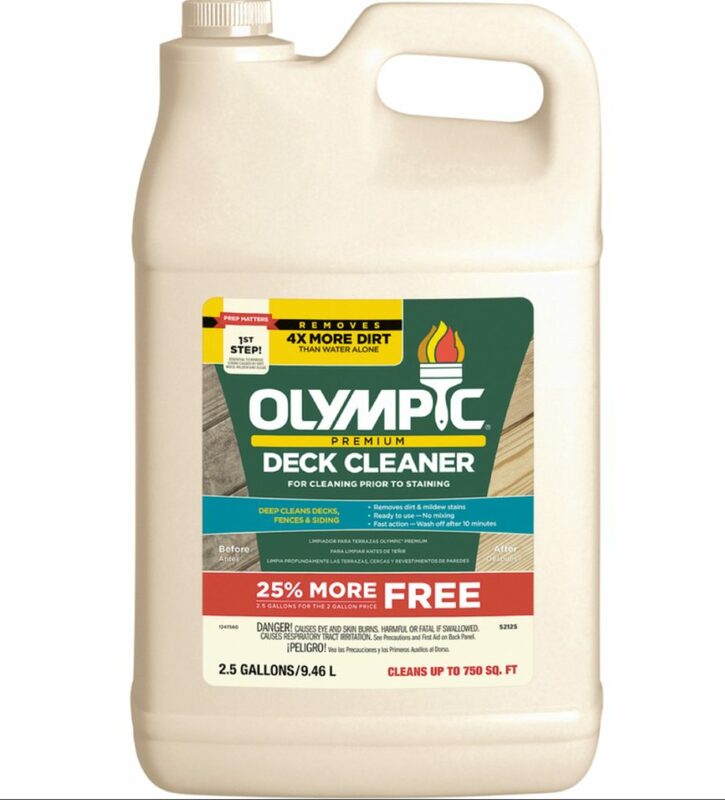 This type of deck cleaner is fine, before repainting your deck, having an existing solid body deck stain on it. However, you will not need, nor see how effective this cleaner actually works. Reason is this type of stain covers natural grain, to an almost painted appearance. In this type of deck finish, we cleaned using this cleaner, sanded with a large deck sander, feathering mil thicknesses, sweeping, rinsing off all sawdust, coming back, applying two separate coats, laying out beautifully.